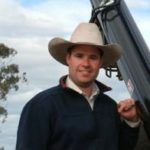 IoT-based Solutions: Only for Technologically Advanced Farms? 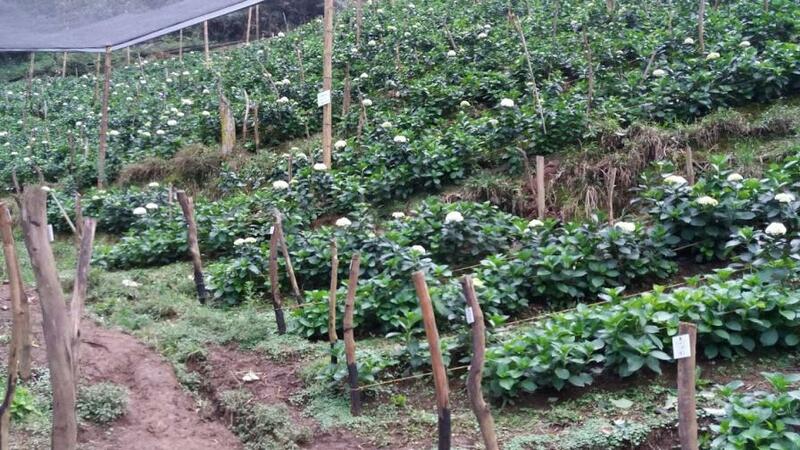 Juan Sebastián Restrepo grows hydrangeas on Blue Mountain, a 5-acre farm on a hillside in Colombia. While its production process is fully manual, the farm would benefit greatly by adding IOT-based soil and plant sensors. As the development of precision agriculture technology progresses, hardware and software products seem to be getting more complicated so they can provide more and better data or improve the ability to solve increasingly complicated issues. Newly developed products such as IoT sensors, apps, and the networking solutions that come with it, can often appear to be focused more on high-tech producers, working with high-value crops, needing very detailed information. Up until recently I would have agreed that “high tech producers” seem to have the best suited for adopting these tools, but a visit to a friend’s flower farm in Colombia gave me another perspective on this. I have spent the last few months in Medellin, Colombia and last week I went for a drive to my friend Juan Sebastián Restrepo’s farm, Blue Mountain, an hour north of Medellin where he grows hydrangeas, mainly destined for export to the U.S. He started his 5-acre hydrangea farm two years ago on a hillside that had previously not been cropped. With close to 50,000 hydrangeas planted and in production now, six full-time staff employed, and plans for expansion, it certainly was exciting to spend the day here. As everything is planted on steep hillsides, the whole hydrangea production process is fully manual and no machines whatsoever are used. Staff is occupied with pruning plants, cutting flowers, getting them ready for transport, insect control, and a range of other tasks. Hydrangeas are grown under shade-cloth and on a steep hillside, presenting several production challenges including irrigation. While it was very interesting to see how hydrangeas are grown in Colombia, Sebastián also had some challenges he wanted to discuss. As his hydrangeas are grown under shade-cloth only and on a hillside, precipitation, for example, is a major challenge. As the department of Antioquia had a prolonged drought up until two years ago, the first job done on the farm was to create irrigation infrastructure. As soon as this was finished, the drought broke and they are still waiting to use their irrigation system for the first time. Due to the large amounts of rain experienced in the last two years, there have been landslides on the farm, but a lack of drainage systems means that the excess moisture is affecting production as well. In those spots where the hillside seems to level out a bit, the clay-like red soil holds on to moisture for a long time and the plants in these areas barely produce any flowers. This issue was not detected by the farm’s local agronomist and therefore he has been unable to work on a solution up to this point. At this moment the farm’s production is at 10% of where it should be and Sebastián does not know why. An agronomist visits once per week but he is not a flower expert, as there isn’t one locally available, although there are a lot of other hydrangea producers in the same area. Currently, they are experimenting with spreading some calcium on the plants (by hand) as they feel that a calcium deficiency is hampering production. There is no local laboratory that can perform leaf and tissue tests – so everything is done at a guess. I could also, by eye, find at least three distinctly different soil types; none of which have been tested in a laboratory and so this adds another big unknown factor to the equation. Between drainage issues, unknown soils, unknown issues with the hydrangeas, and a lack of local knowledge, it really felt to me that technology could play an important role here. Surely, a grower in this situation would have a lot to gain by adding some sort of IoT-based soil and plant sensors to his operation that can provide simple information via a smartphone app that shows exactly what the grower needs to know. Furthermore, this also allows growers in remote areas all over the world to access expertise in other regions or even other countries that can help them analyse the data and work on solutions. The hydrangea farm I visited operates 100% manually with no technical aides whatsoever; but I really can’t think of a better example where advanced IoT-based technology could make a big difference. I have recently seen companies like The Yield, Multitech, and Myriota announce new products and service in this sphere and I can’t wait to see what kind of fully integrated solutions will become available in the near future that deal with the collection of data, transmission of this data to the cloud, data storage, analyses, and the support service back to the grower. 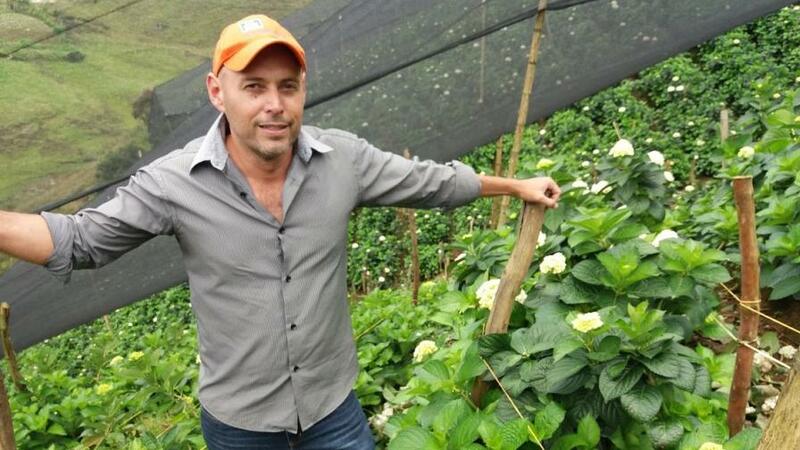 Small flower farms in central Colombia might not be what most developers have in mind when working on their products, but they sure are looking forward to joining the digital agriculture revolution.